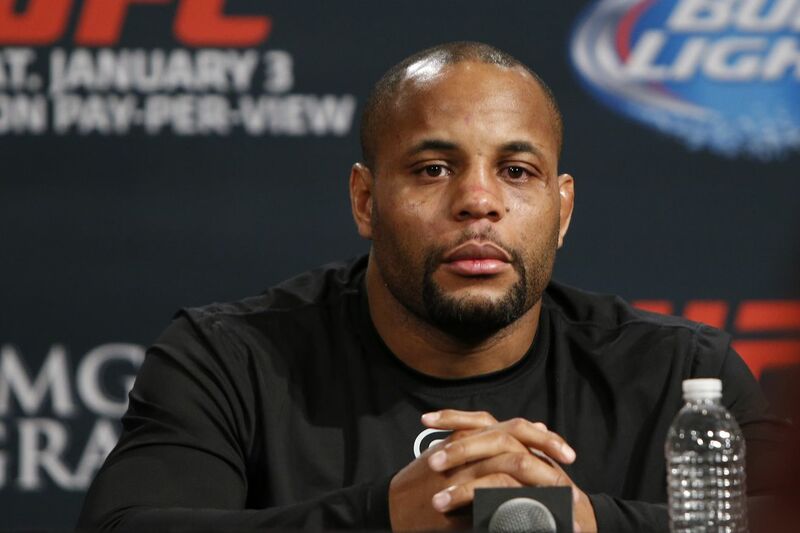 After a sparse 2016, UFC light heavyweight champion Daniel Cormier is finally set to get back in the octagon and defend his 205 pound title in a rematch with the man he beat to take the vacant title, Anthony Johnson. The two were originally scheduled to fight at UFC 206 but a groin injury forced Cormier to withdraw and the fight has since been rescheduled for UFC 210 on April 8th. But it isn’t exactly the fight Cormier wants. In an interview with The Luke Thomas Show yesterday, Cormier said that while he’s happy to be getting back in the cage against “Rumble,” if he had his druthers he would fight Jon Jones a few more times. Cormier and Jones matched up for the light heavyweight title in 2015, with Jones winning a clear decision. It’s the lone blemish on Cormier’s otherwise perfect record and it’s a fight he’s been desperate to re-litigate ever since. Unfortunately for Cormier, that hasn’t been possible as Jones has been beset by a series of outside the cage issues which have left him unable to compete for most of the last two years. Jones is currently serving a suspension for a failed drug test from USADA and is eligbile to return to competition in July and Cormier says that if the UFC and Jones want to plug him right back into the title picture, Cormier doesn’t mind but that it will be on the champion’s schedule. But before Cormier gets another shot at Jones, he first has to beat one of the most dangerous men in combat sports. Though Cormier won their first fight, Anthony Johnson dropped him early in the first round and has, since then, put together three Performance of the Night knockouts over three top ten opponents. A tall task to be sure, but one Cormier believes is still less difficult than fighting Jones again. “I’m not really worried about what Anthony Johnson does. I have to worry about what I do to prepare myself. If I can be completely honest with you, the only guy that I actually watch what he does – try to game plan for him specifically – is [Jon] Jones. Because I know that against the rest of those guys my skills will outweigh their skills in the fight. But with Jones not a viable option for Cormier, Johnson is the next best thing: a clear number one contender and, more importantly, a chance for Cormier to get back to doing what he loves, fighting. He did tap out. Chael Sonnen addresses his submission loss to Tito Ortiz. Testing. Anderson Silva explains why he’d like to fight Conor McGregor. Confidence. Francis Ngannou says he’s the future heavyweight champion. Return. Chris Weidman promises “the old me” in his upcoming fight against Gegard Mousasi. If any of y’all know who Carl Froch is, this one’s for you. Re-re-re-match probably coming for Rizin. Re-re-re-rematch if you count the two on two grappling contest. Al Iaquinta has apparently unretired. Would love the scoop on this one. Cody must’ve not had room for all the Cruz-Faber pics. @YoelRomeroMMA keep juicing boy. Usada are coming for you! Already has a radio show and now The Count is getting a podcast. Coming soon! #believeyoume podcast with @gomezcomedy and yours truly! Cerrone not having an “I know a guy” T-Shirt is a travesty. Francisco Trinaldo (21-4) vs. Kevin Lee (14-2); UFC Fight Night: Fortaleza, March 11. Enjoy the fights this weekend everybody. After all, the best women’s 135 pounder alive is fighting. Take it easy and see y’all Monday.